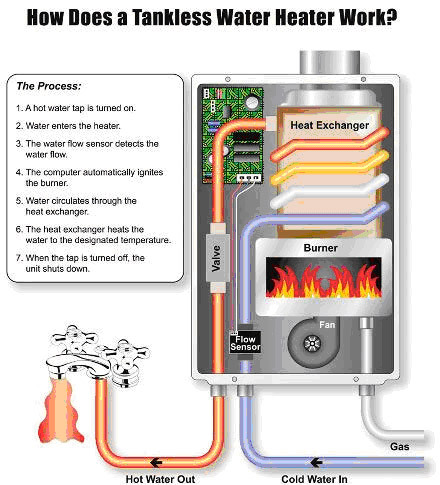 Tankless Water Heaters Bloomington Normal Illinois | D&R Plumbing, Heating & Air, Inc. | D&R Plumbing, Heating & Air Inc.
Tankless water heaters; A.K.A. “on demand water heaters” are becoming more common place in residential installations in and around Central Illinois. to the point of use, unless a storage/circulating system has been installed. When considering a retro-fit, or upgrade from a tank to tankless unit, many items need to be considered; Vent system (if gas), circuit breaker size, gas supply size, 110v electrical circuit (for circuit board operation), where you want to place the water heater, and water quality. We install Takagi, Noritz and Rinnai tankless water heaters whenever possible.